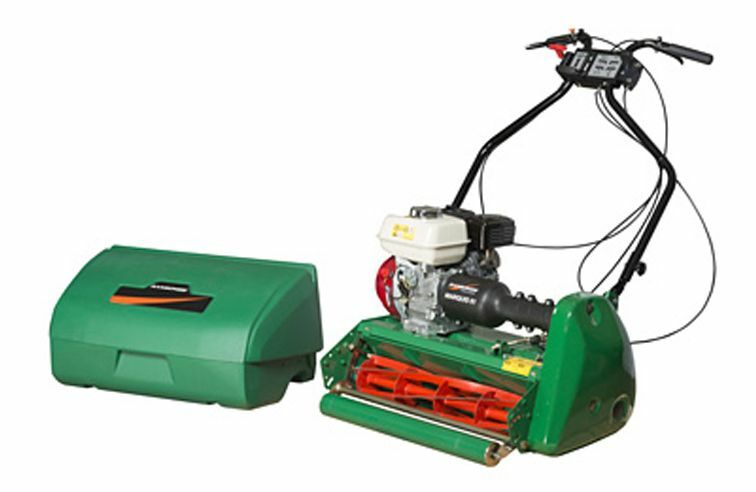 The Ransomes Marquis is a traditional but robust walk-behind cylinder mower available in 51cm and 61cm cutting widths. Aimed predominantly at sports turf, ornamental gardens and large formal lawn applications. An optional trailing seat is available for the 61 model only. A centrifugal clutch with easy engagement makes the machine very easy to use. Honda 4hp engine. • A primary centrifugal clutch is complimented by a secondary plate clutch which enables the roller drive to be disengaged for easy manoeuvrability. 20 in. and 24 in. 0.25 in. to 1.06 in. or with thin bottom blade: 0.06 in. to 0.45 in.